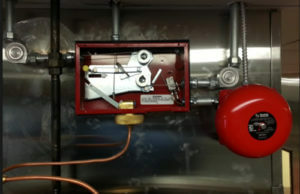 Backflow preventersTesting and maintenance of fire suppression systems have many different requirements. Fire Safety Supply has NAFED trained technicians that understand the complexity and sensitivity of these systems. When your system needs to be tested, Fire Safety Supply will verify all of the activations and ensure that whatever they protect will remain completely operational and safe. Fire Suppression Inspection in Sonoma County CA. The goal of fire suppression inspections is to assist building owners and managers in identifying potential problems or malfunctions before they cause any issues. Fire Safety Supply technicians perform visual inspections to identify adequate protection, system status, placement, recent discharges, and layout changes. When fire suppression inspection deficiencies are found, our experts immediately forward you the information that’s necessary to repair the system. When possible, recommendations include details such as budget, pricing, and the duration of the repairs or required maintenance. Depending on the system and its requirements, fire suppression testing is typically conducted semiannually or annually. In order to test many fire suppression systems, a blended expertise in fire detection, sprinkler, and clean agent or chemical systems is necessary. Fire Safety Supply experts are NICET Certified and experienced in these varying areas in order to provide a unique and full service response. No matter what type of fire suppression testing you need,Fire Safety Supply serves all of Sonoma County CA. and will make sure it’s completed and documented properly. 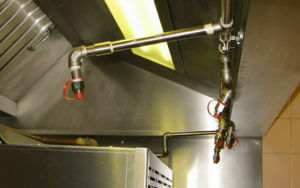 Fire Suppression Maintenance in Santa Rosa CA. Continuous and consistent fire suppression maintenance and repairs is the key to keeping your facility safe. Fire Safety Supply performs full fire suppression in Northern California. We will create a program based maintenance plan that’s tailored to your needs and specific equipment. We perform various fire suppression maintenance and repairs such as 6 year maintenance, replace hose assemblies, recharge units, and replace nozzles whenever necessary. As our customer you can rest assured knowing that you can contact us 24/7. In the case of an emergency, we’ll be there to fix the problem as soon as possible. Go ahead, eliminate your worries and contact us today. Phone: 800-498-3473 (FIRE) or Email Fire Safety Supply today!